Like most in this sub I'm pretty fresh to the euro game. I have a minibrute 2 and the rackbrute 6u. Over the past few months I have accumulated the maths, rene, and plaits and have had loads of fun with just these and the brute, but I want to expand and have plenty of rackspace to do so. This is what I have sketched up so far and would love some feedback before I pull the trigger on any of these. The Wasp Filter is a particular filter and not very general. I think a dedicated multimode filter would serve you better as a first filter. Drop the Optimix and the Wasp and put in something like an Intellijel Morgasmatron. You'll get a lot more use out of it seeing it has two multimode filters and a lot of modulation options. Ok taking that into account I have sketched up the following two racks. in the rack with the morgasmatron I also switched the quadra and ufold for the planar. I was hoping that the morgasmatron would cover most of what I would get out of the ufold and the planar could replace some of the envelope capabilities of the quadra while also providing more modulation. I realize the Planar wouldn't be great as my only envelope source, but I do have an AD and an ADSR on the minibrute. The Renee has six trigger outs. For a system of this size, I'm not sure how much usage you'll get out of Pamela's new workout. You can replace one of your mults with a 2HP clock divider module and get rid of Pamela. If you go with the Knit version of Plaits (6HP), you can add in the Intellijel Dual ADSR. Get rid of the uVCA and Ears and add in a Zlob Vnlcursal VCA with six VCAs in a 10HP footprint. These are all suggestions and will depend heavily on your usage and needs. Kick it around and see if it works. Thanks so much Ronin. Pamela was appealing to me because of the euclidian and random step skipping functions which I guess I could more or less replicate with a divider and rene. I already own the plaits so I don't think I'll be able to switch it out. I would be willing to lose the uVCA, but I want ears just as a preamp for getting things from line level to euro level. 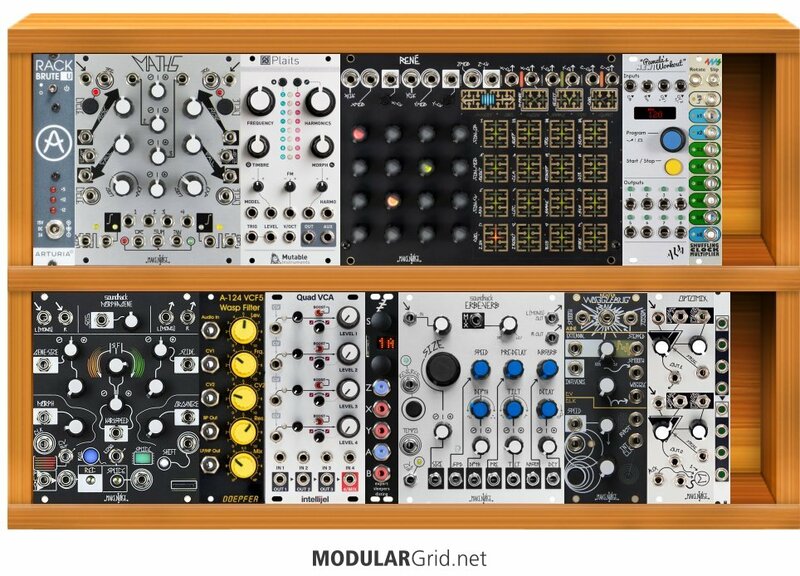 What do you think about the two different racks? 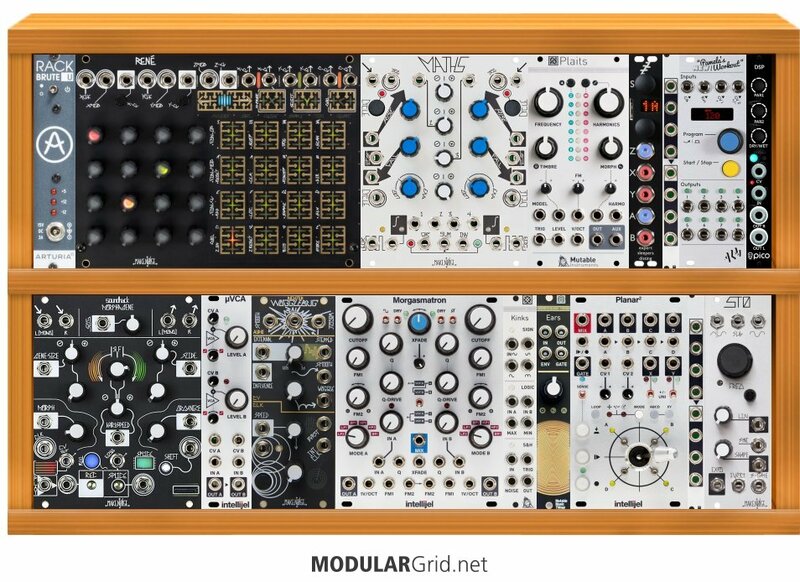 Is it alright to rely on planar as my only rack EG -there are two on the brute- and is the Morgasmatron worth the exchange of ufold, harvestman, and optomix? Again, thanks so much for the suggestions. A note about the Rene and dropping the Pam's: have a look instead at Make Noise's Tempi. This is designed to interface directly with the Rene and provides a bunch of extra functions. Plus, the Tempi would be an apt replacement for the Pam's as far as that module's other functions go. I have the Rene2 with the Pam's. The Tempi and Pam's don't cover exactly the same ground. Lugia is right that Tempi is made to pair well with Rene2. Pam's, on the other hand, also does LFOs, basic envelopes, random voltages (in addition to Euclidian and random rhythm, and all the other trigger stuff). My sense is that Tempi is perhaps more immediately playable, and works better in live situations, interacting with Rene2. Pam's may be more "structured", and give more options when developing patches offline. The Tempi is good for straight clocks but is a nightmare if you want any sort of swing or groove. Swapped mine out for a PNW and haven’t looked back. Thanks so much for all the feedback. I was considering replacing pams with 4ms shuffle clock divide and the 2hp Euclid. Would this be a good idea? it would also give me an extra 2 hp..
clocking aside, I would love to get some opinions on the filter/modulation section. I have a few different versions right now and what I'm trying to work out is the envelope, the filter, and the VCA. 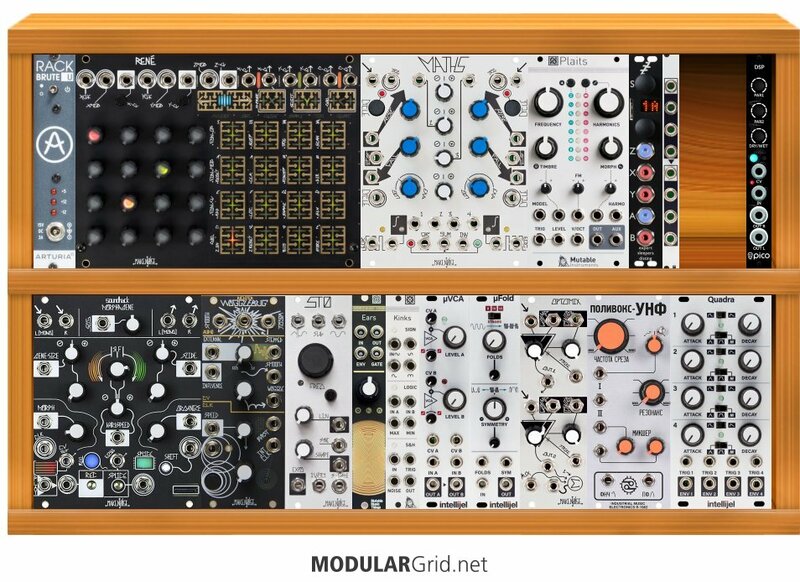 For filters I'm between the Morgasmatron, the harvestman polivoks, and the optomix. I realize these vary wildly in hp and functions, but they're all appealing to me. I have thought about having both the morgasmatron and the optomix, but that would mean losing STO and I'm not sure about that. The other thing I'm not too sure about is the uFOLD. 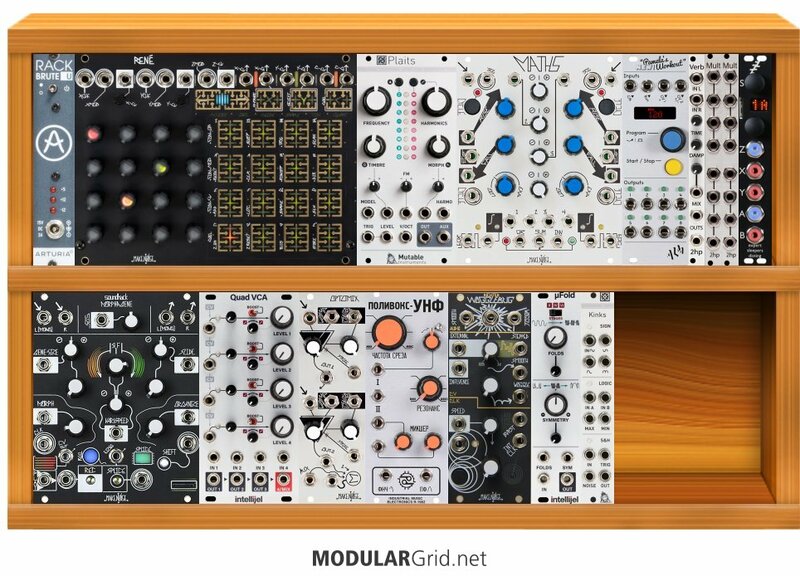 I like the westcoast vibe of it and I've seen it make some cool sounds, but I'm wondering if I'll need it, especially if I have the morgasmatron and if I ditched the ufold I could do the 4 chanel intelijel vca instead of the uVCA which I think would probably be better (?). I'm so sorry for bombarding you guys with so many questions! just a lot to figure out. Really appreciate all the help thus far.